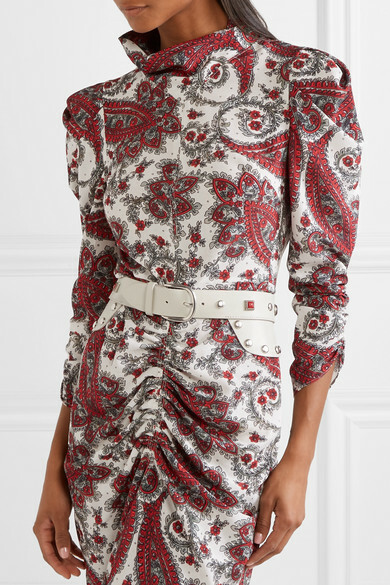 Whether looped through tailored pants or cinched around oversized jackets, belts - including this 'Tricy' style - were seen all over Isabel Marant's Fall '18 runway. 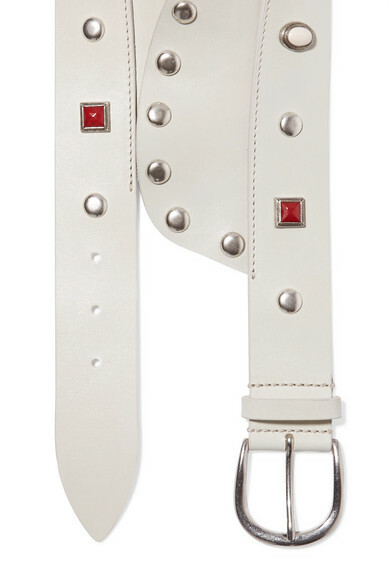 It's made from smooth white leather and embellished with red stones and silver studs. Mirror the show and wear yours over a double-breasted blazer or one of the brand's dresses.